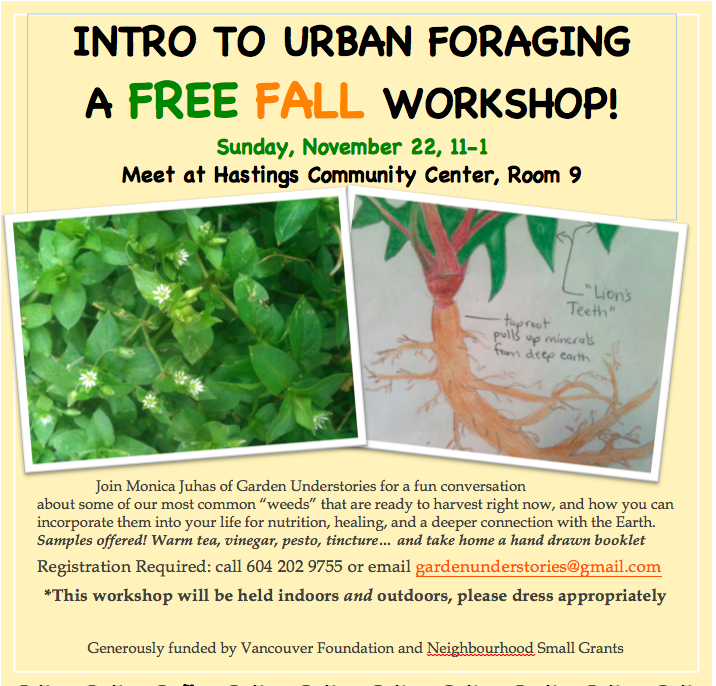 This Sunday November 22, I'm looking forward to hosting a free workshop: Introduction to Urban Foraging, at the Hastings Community Centre in Vancouver. 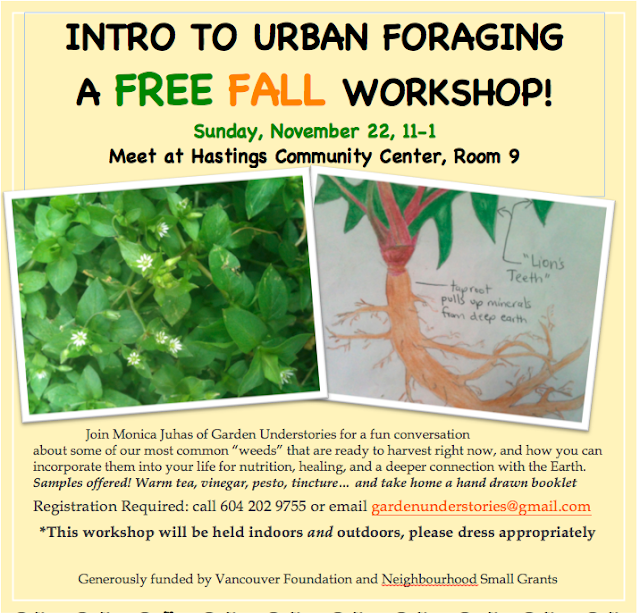 These workshops are fun and informative conversations about some of our most common "weeds". They are packed with info about the plants, what they offer, and how you can get to know them and bring them into your life. I choose plants that are seasonal and in everyone's neighbourhood, so people feel confident begin wildcrafting as soon as they leave. There will be samples of tea, vinegars, food and even tinctures, as well as a little booklet to take home. Join us for some lively discussion and inspiration! Sunday, November 22, from 11-1. Meet at Room 9, Hastings Community Centre, 3096 East Hastings Street, Vancouver. This workshop will be indoors and outdoors, so please dress appropriately!